The East Central Health District wants to encourage its residents to avoid getting the flu this flu season by getting a flu vaccination. The most important step you can take in protecting you and your family from the flu and its potentially serious complications is getting a flu shot. Currently the intensity indicator for Georgia is minimal =3, on the scale of 1-10, and the Georgia ILI Geographical Dispersion is sporadic. 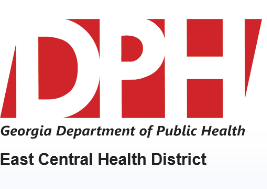 As of November 30, 2015, there have been no confirmed influenza-associated deaths. This time last year (week 46), Georgia had an ILI intensity indicator of minimal=2, on the scale of 1-10, and the Georgia ILI geographical dispersion was local. Also, this time last year there had been 1 confirmed influenza-associated death, the individual was aged between 51-64 years old. Last year’s flu season was particularly severe because the predominate virus, H3N2, changed and was no longer well matched with the vaccine. The vaccine for 2015-2016 does contain the new H3N2 strain so while experts are hopeful it is a good match, the flu can be very unpredictable. Symptoms of flu include fever, cough, sore throat, runny or stuffy nose, headache, chills and fatigue. One of the most pronounced flu symptoms is an overall feeling of achiness and malaise that comes on quickly. Frequent and thorough hand washing. Alcohol based gels are the next best thing if there is no access to soap and water. Covering your nose and mouth when coughing and sneezing to help prevent the spread of the flu. Use a tissue or cough or sneeze into the crook of your elbow or arm. Avoid touching your face as flu germs can get into the body through mucous membranes of the nose, mouth and eyes. If you are sick, stay home from school or work. Flu sufferers should be free of fever without the use of a fever reducer for at least 24 hours before returning to school or work. See a doctor and get a prescription for antiviral drugs, if it is deemed appropriate. Antiviral drugs are most effective when administered within one or two days of symptoms appearing.